This month's giveaway is a special treat because the winner will get to choose one in-stock item from the "For Your Hooks and Needles" section of my shop. I have lots of crochet hook cases, knitting needle cases and small project bags in a variety of fabrics to choose from. Happy knitting and crocheting and good luck! 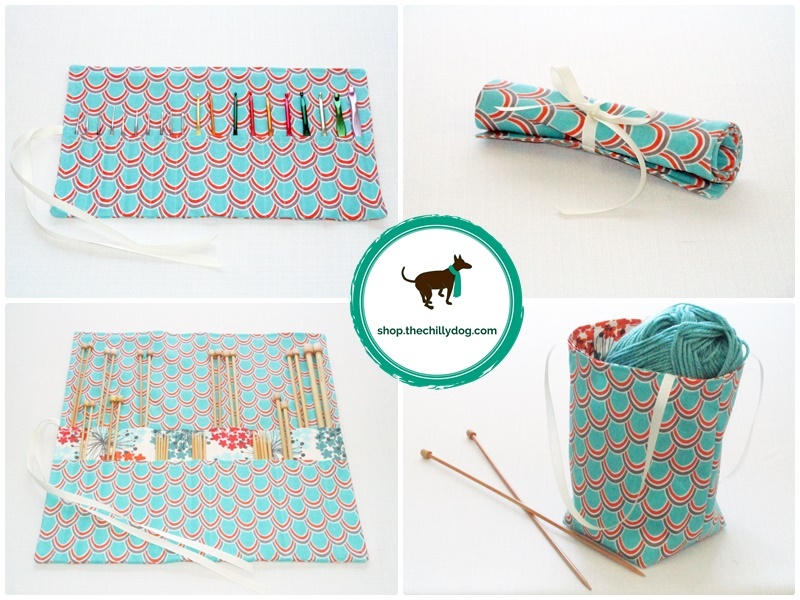 This month I'm giving away a treat for knitters and crocheters. Enter now!